Having little people in my life is a source of constant entertainment. Those petite humans make me laugh so much! They are a major source of joy & inspiration to me. I often joke that I don't know what I'll do when they are grown up & move away on their own. My inspiration will be gone. I may have to rent or borrow someone else's kids. 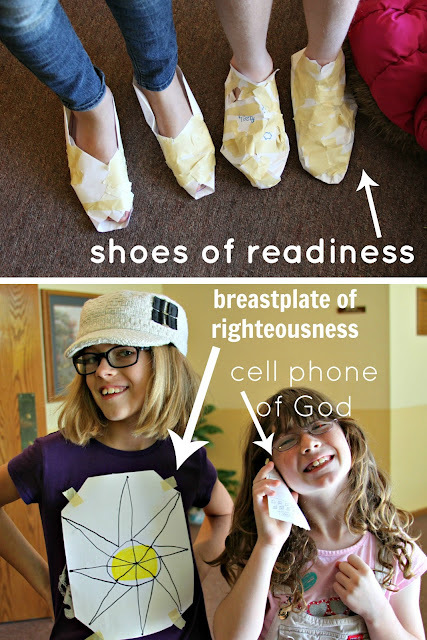 In Sunday school the girls are learning about the armor of God: The Belt of Truth, The Breastplate of Righteousness, The Shoes of Readiness, The Shield of Faith, The Helmet of Salvation, & The Sword of the Spirit. All of this protective gear keeps us prepared & anticipating battle every day. In the spiritual sense. Zoey & Pazely showed off the paper armor they had crafted up in class. To symbolize helping them be ready to share God's love, each had made a pair of "Shoes of Readiness". Zoey's were even open-toed. 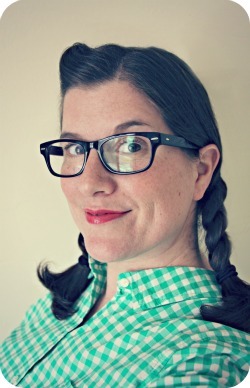 So fashionably forward! For the purpose of protecting & guarding her heart, Zoey also showed off her "Breastplate of Righteousness". Now you, too, can have your very own Cell Phone of God. Complete your armor ensemble today! Pazely obviously had some extra time & paper on her hands. And I couldn't stop laughing. (Under my breath of course.) The numbered buttons have been replaced with letters that spell out C-A-L-L-G-O-D.
Pazely's classmates were telling her that she doesn't need a phone to talk to God, she can just talk to Him whenever she wants. She knows that. The phone, she says, is so God can talk to her. Thank you for sharing this. Love it! It was also a reminder for me to choose to use these every day.